DON'T WORRY—COMFORT CARPET CLEAN KNOWS YOU'LL BE HAPPY. If you want the best carpet cleaning ever, you have come to the right place. Comfort Carpet Clean in Fort Collins, CO, simply does more than the other companies. We take the time to do the best job at your home or office. Rather than focusing on the number of houses we do per day, our technicians focus on excellence in how we perform your carpet cleaning. While there are times we aren't able to get every stain out, we always tell you up front about limitations that may apply to your specific circumstances. However, rest assured if we cannot get the stain out, then no one can. 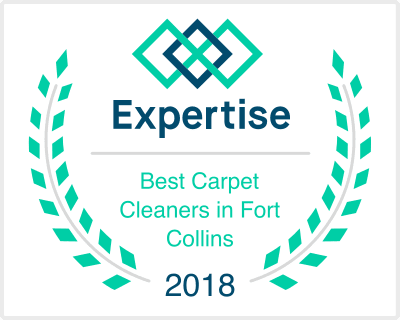 In addition, our Fort Collins based carpet cleaners have invested in the most powerful equipment and effective products available on the market. There is a difference in Fort Collins carpet cleaning companies. All carpet cleaning companies are NOT the same. Try us and experience your best carpet cleaning ever at Comfort Carpet Clean. Clean carpets are the cornerstone of a healthy home. Everyday allergens, chemicals, pet dander, pesticides, mold, bacteria and other pollutants are tracked into your home. Just like hard surface floor coverings, it does need regular cleaning. Nothing cleans more thoroughly or protects your investment better than Comfort Carpet Clean. With our Northern Colorado carpet cleaning services, soil and contaminants are flushed out leaving your carpet looking, feeling and smelling clean and healthy. ​WHAT CARPET CLEANING METHOD IS BEST? Most manufacturers, including Shaw Industries (the largest manufacturer of carpet in the world) recommend the preferred Comfort Carpet Clean hot water extraction method. So of course, hot water extraction is the primary method our Fort Collins based carpet cleaners use. Many people believe steam cleaning and hot water extraction are two different methods, however please note these two methods are one and the same. But we go one step further…you’ll also get a few extras to ensure your carpet dries FAST. We’ve found that the hot water extraction method allows the carpets to dry quickly resulting in cleaner carpets and happier clients—that’s our specialty. Many Northern Colorado carpet cleaning companies use only one or two steps to clean your carpet. However, here at Comfort Carpet Clean, our Fort Collins based carpet cleaners use a minimum of 10 steps in our cleaning process to give you maximum soil and spot removal. By the time we’re done cleaning the carpet in your home or office, you’ll be thrilled with your carpet. Don't hesitate, give Comfort Carpet Clean a call today and see what we can do for you!